If there’s one word I’ve seen thrown around time and again in an attempt to describe the BBC’s detective drama Luther it’s “gritty.” But “gritty” does not equal realism – and that is not what Luther is going for. Whilst Luther is and always has been a detective crime drama, it is far from super serious. The show is larger than life, and unashamedly so, in everything from the story to its characters. Luther, in fact, leans more towards being a show very much in the mold of a comic book adaptation or superhero show, rather than a down-to-earth realistic look at police and criminals. Series 3 really embraced this idea fully, an early episode showing Luther atop a van, his coat flowing behind him, surveying his city like a watchful protector. It was even acknowledged that his trademark coat is essentially a costume, as we saw his closet full of the exact same one over and over. Tongue-in-cheek it may have been, but as the series ended with John quitting and throwing said coat into the river, the symbolism couldn’t be clearer. The coat, more than being a cape, was Luther’s equivalent of the cowl. Then we come to the villains, which does nothing but strengthen the accuracy of this analogy. The “bad guys” in Luther couldn’t be more ludicrous and over-the-top for a “gritty” crime drama. Over the course of the three series and 14 episodes we’ve seen (so far), John has taken down a blood-draining occult serial killer, a full-face tattooed kidnapper and diamond thief, a killer who wears a Punch mask, a pair of psychopathic twins, a wig-wearing fetish murderer, and, crucially, a shotgun wielding vigilante. And then there’s Alice Morgan (Ruth Wilson). Alice, the longest running ‘villain’ (so to speak) on the show, is equal parts Joker and Catwoman in this comparison. She enters the show (in the pilot) every bit the “nemesis” for Luther, after brutally murdering her parents. She’s a fully-fledged sociopath, and represents a fully realized reflection of Luther’s own darker impulses. But then, over time, she becomes an uneasy ally for Luther, using her seductive charm and their strange chemistry to win him over, often helping him out of tough situations. All of this, and I haven’t even mentioned Justin Ripley (Warren Brown), who couldn’t be more of a “sidekick” to John Luther if he tried. And what of the city of London? In true comic book fashion, the city becomes a character in itself, helped by a strong visual style and the assured directing of Sam Miller. In Luther, London is Gotham-esque, a granite and steel playground of corruption and depraved minds. I’m hardly breaking new ground here, as Elba, Wilson, and writer/creator Neil Cross have all spoken out about this very topic and backed it up. There are also plenty of other articles discussing the Luther-as-superhero idea, as a quick search of “Luther BBC superhero” will prove. This piece is more of a response to those who call Luther “silly” or “unrealistic.” On the surface, some aspects of the show are silly, but it embraces those to full effect, and it’s certainly never tried or claimed to be a realistic show. 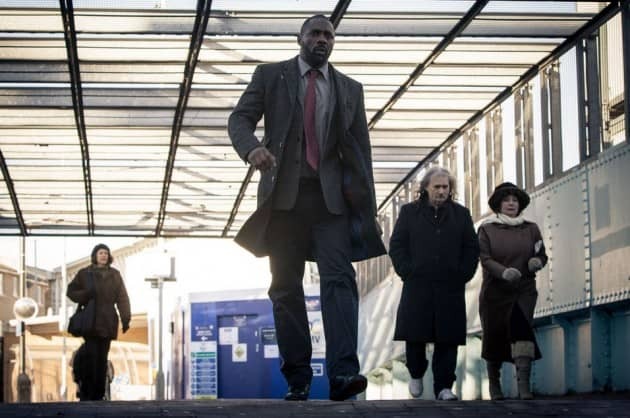 Some make the mistake of judging Luther on the basis of it being a BBC crime drama with a grungy aesthetic, but the truth is it’s unlike any other show in the UK, with this article discussing just one of the many reasons this is the case. 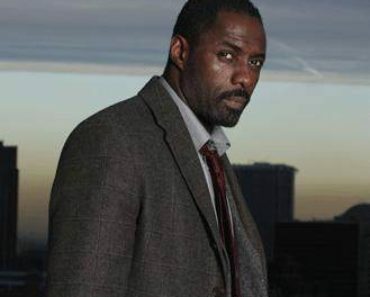 Of course, Luther is still a detective show, and the central character is still portrayed as being a brilliant sleuth at times, a combination of various famous TV detectives. But Luther is also, as USA Today said, “London’s Batman amongst a horror show of killers and murderers,” and should be watched and judged on the basis that this is a deliberate, crucial part of the show’s DNA, not poor writing. In other words, it’s time to treat and celebrate Luther for what it is: an entertaining, scary, larger-than-life crime drama about London’s own Dark Knight. – This is all very well complimented by the performance of Idris Elba. It’s not subtle, but Luther isn’t a subtle character. It’s a big, emotive, physical portrayal, and he’s a captivating screen presence. – It’s no coincidence that, in line with Series 2, the BBC released a mini Luther graphic novel after each episode. I’d certainly read more Luther comics. 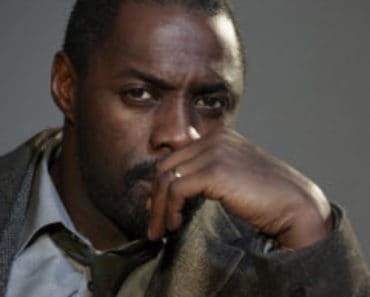 – Everything mentioned above backs up the idea that Luther would make a hugely successful transition to the big screen, so it’s no surprise that Elba and Cross are still trying to make that happen. Make sure you look out for Luther Series 4 (a two-part event) on BBC One later this year. 22-year-old writer, Cinema & TV lover. I’m a huge Luther fan and I’m so impressed with your view of this character and show. I didn’t find anything about Luther silly, so I guess I’ll have to go back and watch the entire series again :-), just to make sure. Everything about Luther is good. Idris is profoundly good in this part and Ruth is mesmerizing as Alice. How you end up routing for a sociopath, serial killer is beyond me but you do. Luther is a superhero, no question about it, putting down criminals in his part of the world, sometimes by any means necessary. As to more Luther, are you serious, I thought that was just talk? Please tell me it’s really happening. 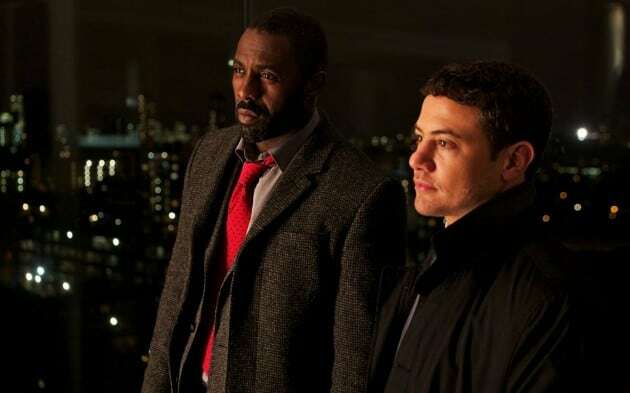 If they come back, how will Luther survive without his sidekick Justin? Can’t wait. Thanks for the kind words. Yes, Luther series 4 (which will consist of two 1 hour episodes) started filming this week and is set to air later this year. This is me jumping up and down happy, btw, thanks for all your blogs, I don’t usually make a comment, but I started feeling guilty cause I know a lot of hard work goes into it and there should be some kind of acknowledgement from us readers. So, this is me saying thank you. Whoohoo!!! I’ll miss Warren Brown’s Justin Ripley character, but this is great news!!!! What a fantastic piece! It was a pleasure to read and I agree with every word!